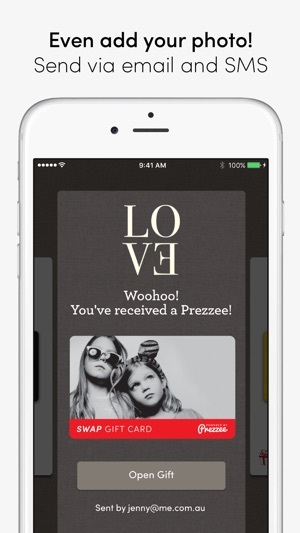 Prezzee is a revolutionary Gift Card app that will change the way you gift. 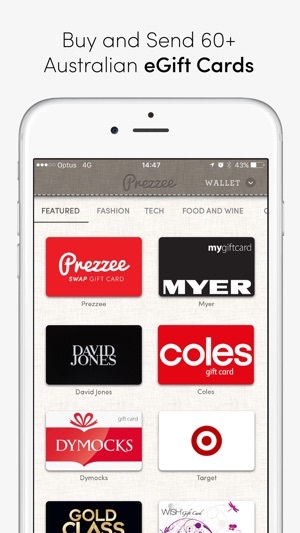 Featuring Australia’s top retailers, Prezzee is your one stop shop for buying, sending, storing and redeeming e-Gift Cards. 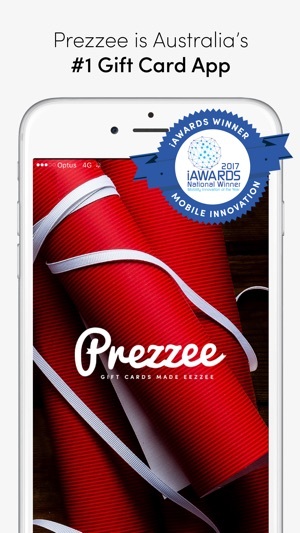 No more lost or forgotten Gift Cards – Prezzee makes sending Gift Cards instant, easy and it’s free! 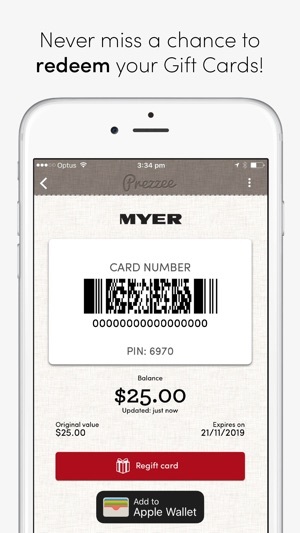 Anyone can receive and redeem a Gift Card via Prezzee. What could be more simple - making birthdays, anniversaries, baby showers, Christmas or any occasion a hit. 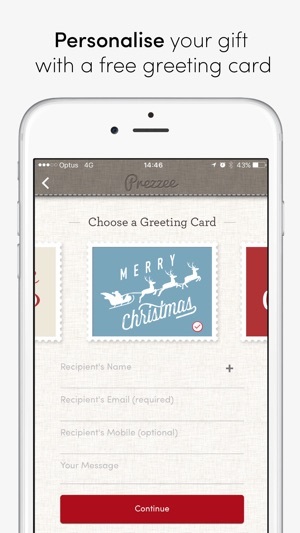 Introducing Prezzee – making Gift Cards eezzee. I use Prezzee over and over again. I use it for presents - you can send a Prezzee and it is received almost instantly. I send Coles and Woolworth cards to my son for grocery shopping and cab charge(Uber). 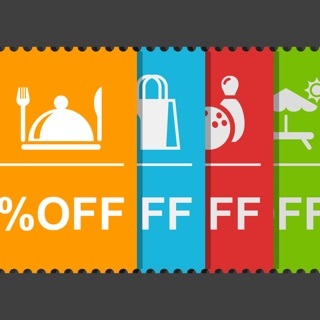 Customer service are quick to respond and resolve issues - like misspelt email address.